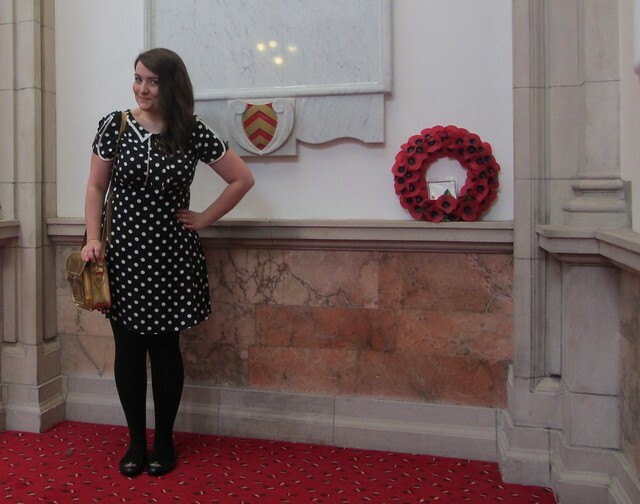 Fat Frocks: Nerth gwlad ei gwybodaeth - Zatchels, cake and libraries. Nerth gwlad ei gwybodaeth - Zatchels, cake and libraries. Yesterday was the annual Library Assistants Away Day at Cardiff University and I helped to organise it for the second year. We normally go off campus but we thought it would be wise to have a free venue and blow our budget on tea, cake and lunch. Sensible. 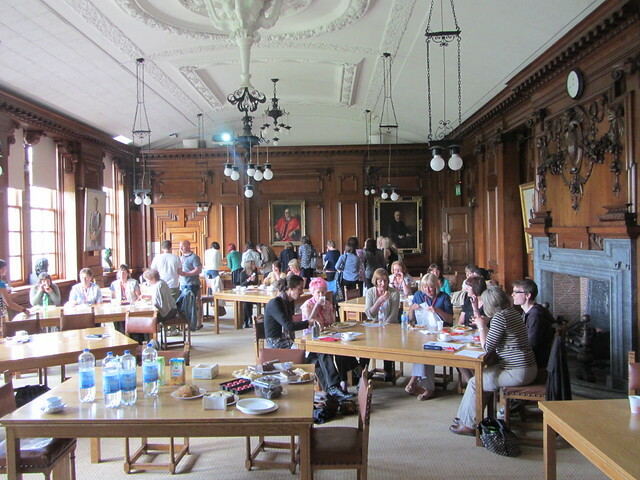 So we chose to have our away day on campus (free) in the beautiful Main Building. We had a variety of talks on things like medical illustration, how the school of Social Science is using Twitter for research and how working with artists is different to working with academics. But mainly the day was about cake, chatting with people from different libraries and rounding off the academic year with some fun. Main Building today houses a number of Schools and Departments, including the School of Chemistry, the School of Earth and Ocean Sciences, part of the School of Biosciences, and the Vice-Chancellor’s Office. 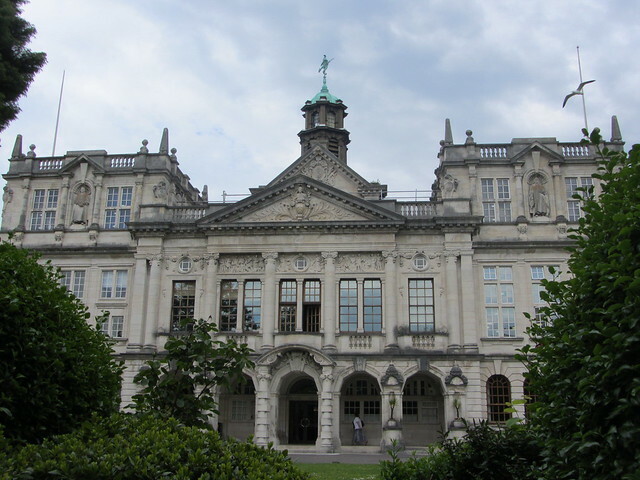 Main Building is a Grade II listed building. The Science Library is today home to approximately 37,000 loanable books, more than 1.2km of book shelves, and more than 1.5km of journals shelving. 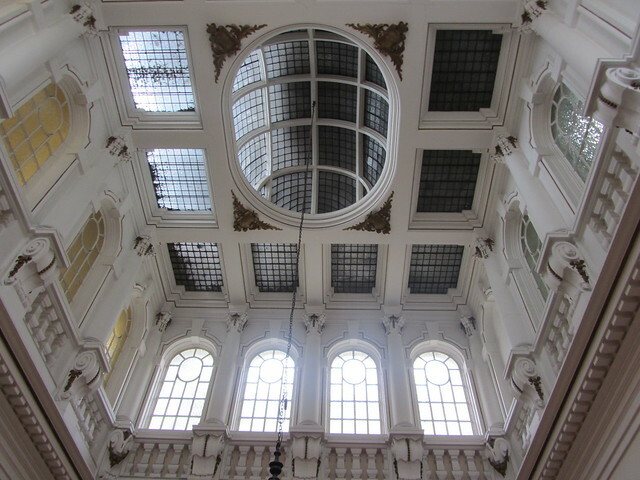 In February 1941 during the war, the long corridor above the library in Main Building caught fire from an incendiary device that had lodged in the roof. Off-duty students had to form chains of buckets to help put out the fire. I wanted to look a little more formal than usual for the big day so I put my favourite fancy shoes on, my official looking bag, a smart dress and a crazed look. The crazy look in my eyes in a mixture of stress and mania. It's hard work organising events, how the hell does Emily Eavis manage to organise Glasto?! Swoon, isn't she lovely? I like that I have a very traditional bag but I chose a bonkers colour. I can't wait for this to get worn in and have that battered look. I know that I'm going to enjoy using this for a very long time. Everyone seemed to enjoy the cake, marshmallow challenge and the presentations. It's all over for another year, phew! I really enjoyed being in such beautiful surroundings and need to find another excuse to spend the day in the council chambers. What a beautiful building, looks like such a lovely setting for an event! 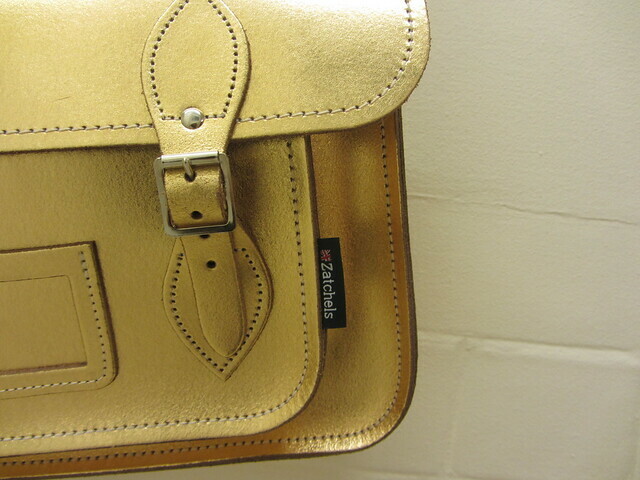 LOVE your bag too, I've been eyeing up the metallic Zatchels for ages. Very tempted to buy myself one! I kind of wish I went for the other gold colour now, bit more subtle but I do love this one. Well worth the money I think because they are handmade in thr UK. Totally longing for my Cardiff uni days now :( There's no place like it! 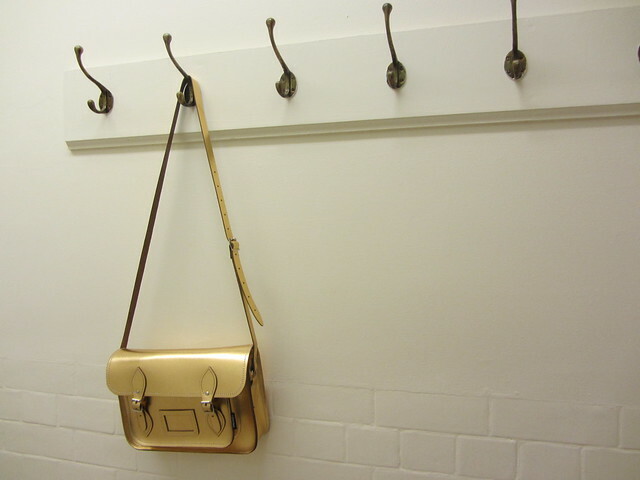 Oh gem what a beauty that bag is! The 'how working with artists is different to working with academics' talk could definitely do with being given at my work. One of our Deputy Directors spends 2 days a week on our art & design campus, & still doesn't quite understand that as our lecturers are primarily artists they expect a completely different service to lecturers on the main campus! It was really interesting, the presentation is here but she's updated it since then and added a lot more in when she was speaking http://gregynog.smu.ac.uk/presentations2012/gregynog4web.pdf It was interetsing to hear how they approach the libraian and have an image in mind but don't really know what they are looking for. 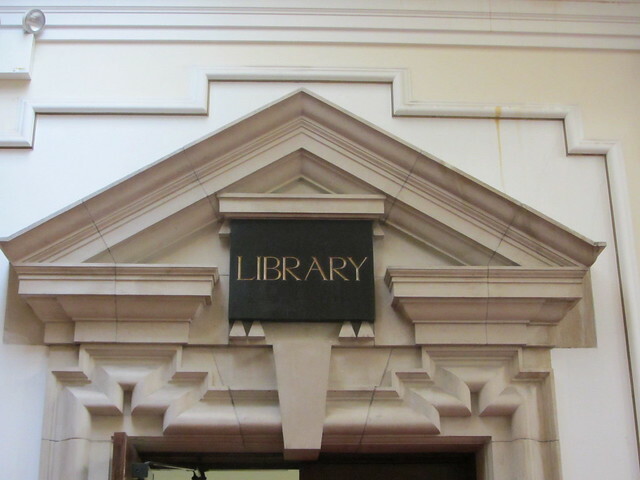 The building looks fab, just the right setting for a library away day! Just wondered as well, are you going to Library Camp Bristol? Don't worry - I don't even work in a library at the moment! Ah this brings me back to my Cardiff Uni days! So many beautiful buildings around there! What a lovely building and well done on the event! Thanks Char, will have to get everyone down here at some point for a bloggy weekend.